The start of the conferences was the FashionTech on Tuesday, 16th of January. They gave the visitors a better understanding of futuristic innovation topics of the fashion & textiles industry and exceeded the high expectations of their organisers. The FashionSustain took place on Wednesday and presented as part of the Berlin Fashion Week and organised by “Messe Frankfurt” for the first time the successful symbiosis of trade fair and conference format according to Olaf Schmidt, the Vice President Textiles Technologies of Messe Frankfurt¹. The conference especially focused on the topic „Run for Circularity“: current developments and potentials of the latest technologies and circular processes for the sustainable and efficient future of the textile-, fashion- and sports-industry. Following the keynotes, different representatives of the industry, e.g. by Adidas, Vaude and Lenzig got together to present their latest products and supply insights into the business. The conscious work with resources was the focus here, too. The auditorium was throughout the day busy and the visitors were encouraged to not only get inspired by the well-known names of the scene but to also enter a critical debate, discussing the future of fashion. “We were very happy about the encouragement by the visitors, every talk was well-attended. This validated our compilation of the progressive program.” according to Schmidt. The trade fairs were more international than ever this year. Altogether 170 Labels from 26 different countries² presented their products and collections. A wide variety of sustainable accessories, from shoes and purses, sustainable clothing, ranging from business shirts to laser printed jeans to sustainably produced jewellery and backpacks -there was something for everyone. More than 61% of the exhibitors¹ travelled from abroad to present their designs and made the trade fair be more international than ever. Many European neighbours but also designer based in the Mongolia, Korea and Peru were among the exhibitors. This created a mix of innovations and shows that sustainable fashion a worldwide growing phenomena is which gets more and more attention. Around 140 Labels¹ presented innovative street and casual wear on two floors. Outdoor- and activewear were other topics presented by exhibitors, such as Vaude, who didn’t just present their fairly produced products but also pioneering concepts of circular economy and recycling. The Greenshowroom focused on high fashion collections, such as fair cashmere, peace-silk and vegan high heels, this year. Stylish purses and gloves were also part of the collections and showed how fashionable sustainability can be. 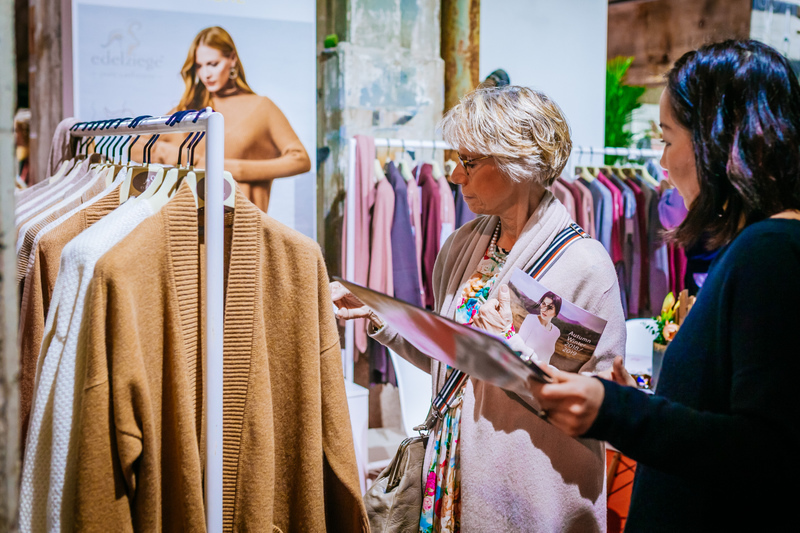 Among the exhibitors who presented their collections, many newcomers were seen: around 35%¹ of the designer were exhibiting at the trade fair as part of the Berlin Fashion Week for the first time, which also shows how much the market around sustainable fashion grows. The next Greenshowroom and the next Ethical Fashion Show Berlin will take place at the Kraftwerk Berlin, from the 3rd until the 5th of July 2018. BERLIN, GERMANY - JANUARY 16: A general view of the Greenshowroom & Ethical Fashion Show Berlin at Kraftwerk Mitte on January 16, 2018 in Berlin, Germany. 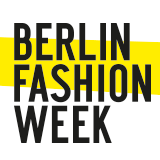 One of Berlin’s strengths is Sustainable Fashion. 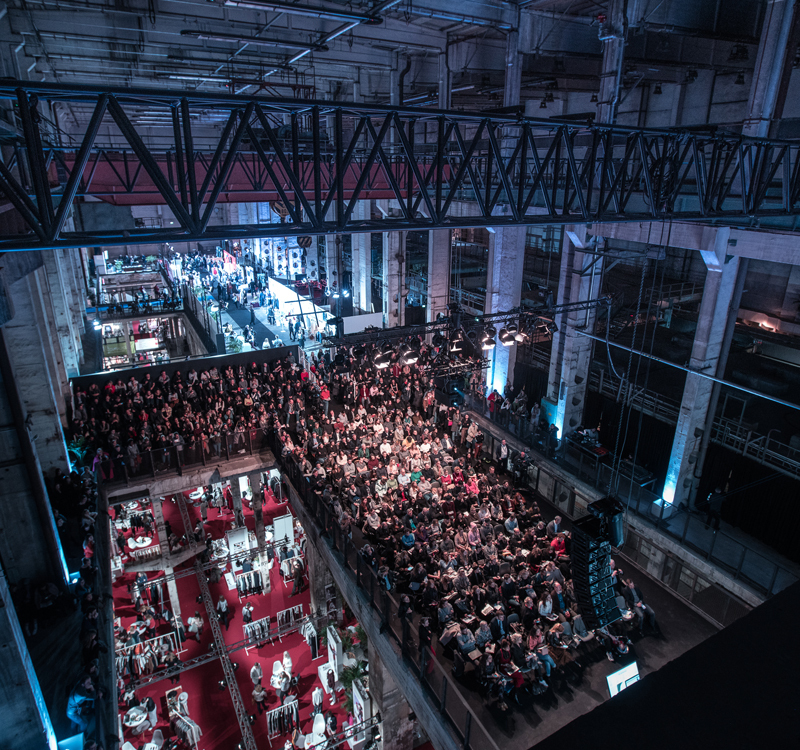 How pioneering the capital of Germany is, was proven by the Greenshowroom and Ethical Fashion Show Berlin, in combination with the FashionTech & FashionSustain -conferences, January 2018.